At Drupa 2004 Dürselen presented the new design of their range of paper drilling machines for the first time. 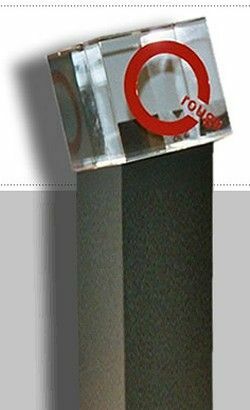 In November 2005 the product design was awarded with the "Q rouge" award of the West German Chamber of Trade. The new outfit of the Dürselen range of paper drilling machines was developed by the product design office Kurz-Kurz, Solingen. It included a re-design for existing models as well as the exterior design of new developed machine types. Machines of very different proportions - a total of eight models - grew together to one product family by a shared geometric, typographic and colour line.